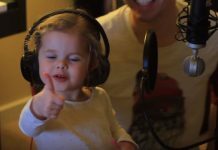 There have been countless artists and musicians who have tried out their luck at talent shows such as “Britain’s Got Talent,” but the four beautiful girls in the video below have something special that no one else has. Together, they form a group called Scala, an electronic string quartet that will definitely put a smile on your face and leave you awe. From the moment the four girls first stepped on stage at Britain’s Got Talent, the judges knew they were in for a treat. But they had no idea what to expect and had their doubts considering the girls’ ages and the fact that the electric violin is not an easy instrument to master. But all their worries were put to rest once the girls started to perform and they showed everyone what they can do. The beautiful sweet electronic notes produced by their violins and cello filled the room and left everyone in the audience, as well as the judges, in complete awe.